Few things are as frustrating as losing a sale at the very last moment. When a user leaves your site before completing their purchase, it’s known as ‘cart abandonment’. It might seem impossible to combat this behavior, but when a customer changes their mind, a popup can be just the thing to change it back. To do this, you’ll need to understand your customers’ needs and preemptively give them a push in the right direction. By using popups that appear just as the user is about to leave your site, you can minimize cart abandonment and potentially increase your conversion rates. In this article, we’re going to explore the reasons why cart abandonment occurs, and where it fits into your conversion funnel. We’ll also show you how a popup can be used to minimize abandonment rates, along with five tips for optimizing them to get the best results. Let’s get started! Before we look at the specifics of cart abandonment, let’s consider how it impacts your conversion funnel. We’ve already discussed conversion funnels in a series of articles – most notably the AIDA principle. Cart abandonment usually occurs just before the very final action, and it’s incredibly common. 56% said it was due to unexpected costs, such as duty and shipping. 37% claimed they were just browsing. 36% found a better price elsewhere. Other concerns included slow sites, confusing payment processes, and security concerns. To begin minimizing cart abandonment, therefore, prioritize making your site load quickly, secure, and easy to navigate. Your costs should also be clearly displayed to avoid confusion. 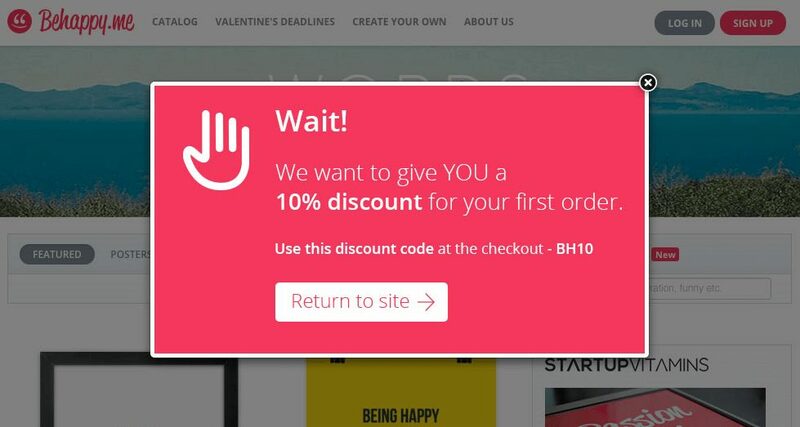 These popups can contain messages, offers, and other incentives to make the customer reconsider, and you’ve probably come across them yourself. They’re usually triggered when the cursor moves towards the browser toolbar, but this can differ. When developing a popup strategy, it’s important to anticipate the users’ needs. 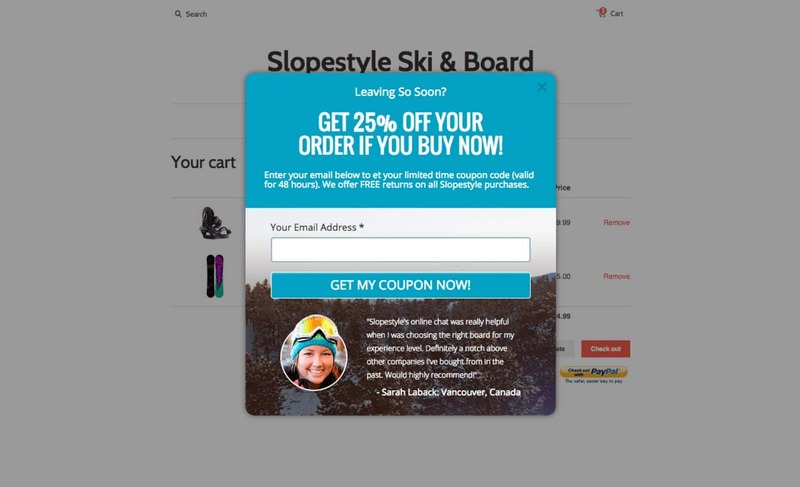 Here are five tips for converting shoppers with cold feet, using Popup Maker and its various extensions. An exclusive message and discount code can help change the customer’s mind. 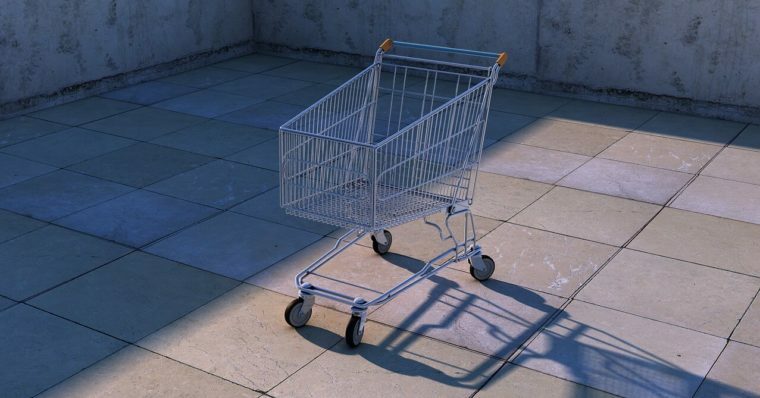 Earlier, we mentioned that unclear costs is by far the most common reason for cart abandonment. A user could be surprised by the total cost, unexpected shipping prices, or they might have found a better price elsewhere. You can counteract this by using a popup to give them an offer that shaves down the total price of their purchase. For example, you could offer them free or reduced shipping, or give them a discount code. This is a very simple strategy, but it will help combat the most common culprit behind cart abandonment. It will also build goodwill for your site, which makes it more likely that the customer will return. This kind of popup is best created with the Exit Intent extension, which triggers when the user moves their cursor towards the browser toolbar. Many of the following tips can also be enhanced by using Exit Intent to trigger the popup just as the user is leaving. 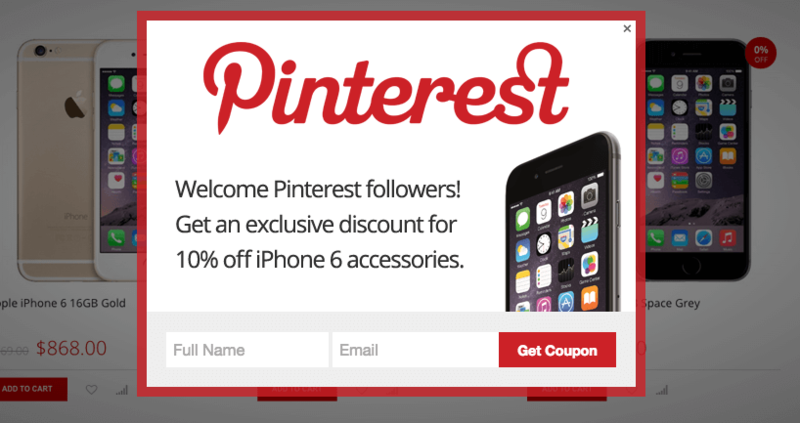 This popup is targeted at users arriving from Pinterest. If the customer is unsure whether to proceed with their purchase, a timed offer can entice them to commit. This works best with a limited discount or a special deal that will expire within a specific timeframe. For example, you can offer them a 10% discount if they order within the next 48 hours. This strategy works best for customers who aren’t sure if they should buy now or later. Another way you can use this strategy is by focusing on users from a specific referrer. If a user has found your site through a link or advert – maybe via social media, using just one example – you can provide a limited offer specific to them. This can be easily achieved using the Advanced Targeting Conditions extension. This enables you to create different conditions for triggering popups. For example, you could use the referrer conditions to display popups for users who visited your site from Facebook, giving them an exclusive (and specific) discount. A testimonial can help customers trust your site. Security is another issue that can make a customer hesitate. One of the ways you can reassure them is through customer testimonials. Ultimately, these reassure customers that you’re safe to do business with. They also help build trust in your site, as social proof is a proven tactic for increasing conversions. Providing support to customers helps avoid frustration. If the customer is confused or uncertain, they’re less likely to feel confident enough to complete their purchase. They could have an issue with their order, or have a question they need to ask. To rectify this, you can use a popup to offer support and help by linking to your support services, such as a live chat or a phone number. One way to implement this is with the Scroll Triggered Popups extension. This triggers a popup when the user has scrolled to a certain point on your page. In this case, you could trigger the popup when they have reached the bottom of the page, as this is likely where they’ll look for helpful links. The Popup Analytics extension helps you track how your popups perform. Implementing a popup strategy is all well and good, but monitoring it is also an important part of the process. We talked earlier about the importance of anticipating users’ needs and behavior, and tracking your popups is a key component of that. You can do this by using the Popup Analytics extension, which enables you to see detailed information about all of your popups. This extension can be used to track the number of conversions, how long users view the popups, and if they click the links provided. Once you have this information, it can be used to address popups that don’t work as well as you want them to. Many purchases are never completed, but by using popups at the right time you can make a huge dent in that number. By knowing what your customers are looking for and giving them the information or offer they want right before they turn away can make all the difference. Use Exit Intent to offer them money off their current order. Use a limited-time or referrer specific offer with Advanced Targeting Conditions. 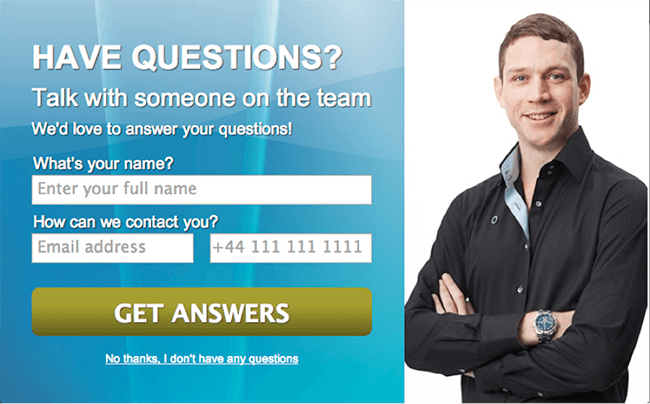 Reassure them that their details are safe by using testimonials and Remote Content. Provide help and support with Scroll Triggered Popups. Use Popup Analytics to refine your popup strategy. Do you have any questions about minimizing cart abandonment, or how Popup Maker can help? Let us know in the comments section below!